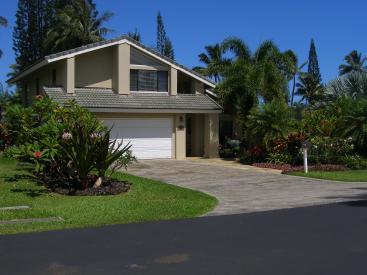 Enjoy a lusciously landscaped Hawaiian yard with backyard privacy right in Princeville. 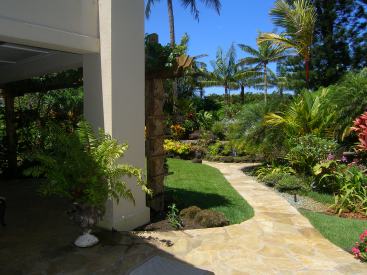 The landscaping is spectacular and affords so much privacy it seem like there are no neighbors. But the trade winds flow throughout. 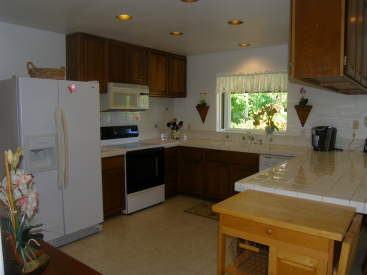 This is a three bedroom/three bathroom home with an open floor plan situated on a corner lot. 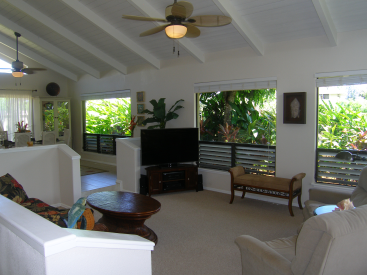 The main floor includes the sunken living room, dining room and kitchen that flows right out to the backyard covered lanai. 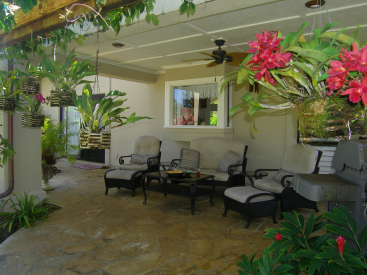 The covered lanai provides shade for the warm summer days and a covered outdoor area to enjoy when the Hawaiian rains fall. The living room and dining room have vaulted ceilings The third bedroom/bathroom is located on the main floor. And it is a full third bathroom - not just a powder room. A large pantry provides the storage that you need. Two spacious master bedroom/bathroom suites and located on the upper level and they both have vaulted ceilings. Both bathrooms have dual sinks with a tub/shower combination. 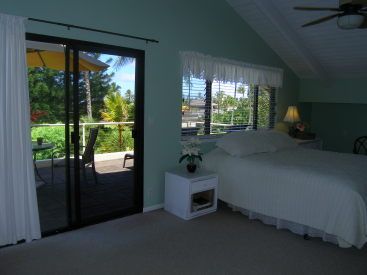 One of the master bedrooms has its own private lanai with beautiful mountains views. Two car garage with the washer/dryer located in the garage. All furnishings are included. And an added bonus - the sale includes a 2007 Hyundai Tucson with approximately 21,500 miles.